Perhaps waiting for the Grimm Reaper to pay him his fare? Desperately searching for hope, is there any light? I don’t know what’s wrong, what do I do now? The happiness, the pride, where did it all go? I hope I can gather the courage to finally leave this place. Read more about self injury and teenage cutting. we'll stand up together and call on his name. you'll never walk alone he's there carrying us to the light. I'm Katie I'm a cutter. And i have been cutting for about 5 years now and it's real hard to stop. I want help. I need help. My world is in bits and has been for years now and thats where the self-harming entered my life. I think it was already there within me and just waiting for a reason to come out. I have had people say to me after seeing the scars on my arms it must be some attention thing, but i am alone when i do it and then i don't go shouting from the rooftops about it. I have noticed that people treat me different after seeing the scars. I dont judge them so why judge me? its the way of the world i guess, with ignorance thrown in there too! My pain is in my head which people dont see.. I Know how you feel i am going thro the same thing, i have been cutting for 5 yeats and i am 14 years old. i have tried to stop cutting many times but i just cant stop. ive been cutting since i was 10 im now 14 and it is more addicting then ever. i need to stop and i need to move on but idk how. how can i just stop. is it possible. can anyonehelp me. does anyone care about me. im afraid if i keep it itwill turn into a suicide attempt not tht i care. ending my lifesounds ok to me. I dont think their is a cure to stop cutting. i've done it for two years everyday, had to go into hospital twice. but still never stopped me from cutting. I've cut my legs, arms, stomach and arms. have to keep covered up, cause everyone just stares at me and talks behind my back. i feel like a have to cut again tonight but just want to hit a vein and end all of this nightmare. Hey, look, you are going to get through this. However, not if you try to do it on your own. Yes, you do have do make effort and want to get out, but it really helps to have supportive people. Also, with God all things are possible. You said in your poem that you were feeling weak. He will give you strength. (look at Isah. 40:28-31) He will heal the broken-hearted, and he will heal your broken heart (Psalm 147:3). Know that nothing can ever separate you from God's love (Romans 8:38-39). Pray unto the Lord and give him your burdens. Even when you do not have the words to pray, He knows (Romans 8:26). Take courage( Our Father will restore it) and when you are tempted, remember God will never tempt you beyond what you can bear (1 Cor. 10-39)... I pray you may look to truth and leave the lies behind.. I pray, also, that the love of God will be made known to you in a much deeper level than before. Hang in there; you are never really alone. Peace be with your soul. I'm a cutter, and I want help. But I cant bear to talk to the people I know and love, who could I go to? jeg er selv cutter og har været det i 3 år. jeg er blevet syet nogle gange. jeg skærer ikke bare i mig selv jeg brænder mig og slår mine hænder ind i noget så jeg hele tiden brækker dem. jeg er indlagt på en psykiatrisk ungdoms afdeling og har været det i et år. de hjælper mig ikke, eller de ved ikke hvordan de skal hjælpe med at stoppe det. jeg har prøvet meget, men det er bare som om der er intet som hjælper :( jeg har brug for hjælp! im 16 & i myself was a cutter.You may feel alone like no1 understands the pain you feel or why you cut.. I Still struggle with it everyday.. Just know theres people who wont accept it & will judge. You just have to find the right people to reach out to..
You're all broken. I know the feelings and the stories...don't give up...there ARE answers and there IS hope. God don't give you anything you can't handle....he believes in you and I KNOW YOU have it in you. Press on...don't ever give into pain...hope is there. im a cutter and im 14 ive been cutting for 2 years now i cut everyday at school and everyone knows that i cut cause i have to were short sleves in games so everyon bullies me i dont know who i can talk to to trust and help me with this i have cut the word help in my arm and the word suicide i just dont know what to do. It's a bit strange, I used to cut myself very superficially so as to not do any real damage and to not leave obvious scars. One day I was feeling really close to God. Something happened that day that made me want to cut so I did, and I swear because I was doing it out of rage I could feel Satan in me. So I apologized to God asked for forgiveness and immediately the evil feeling was gone. So I threw my main razor away (I have a few) thinking that because of this all cutting was evil. But I reflected then on another time when I was slightly emotionally hurt and cut superficially, never letting God out of my sight. So truthfully I believe different people have different ways of dealing with things. And as long as you aren't doing it out of evil or rage, trying to commit suicide or letting go of God, a cutter is just someone who has a different approach, not a problem. HEY! ive seen this poem before! Didnt Renee yohee from To Write Love on Her Arms write this! cause this poem has always bin my fav. I know what all this is like. I have been selfharming for nearly a year. Have hope, know that someday you will get through it and it will just be a memory. I'm going through depression and anorexia at the moment and I'm finding it hard. I have attempted suicide several times. I also know that there is a way out for everyone so don't give up. Stay strong. I'm 13. I don't know how long i've self harmed. I have an extremely disfuntual family and more than one mentel problem. I can't remember i time i havn't hated life. I have no friends, they all hate me, people at school, teachers, and my family. I want help, i want someone to listen to me. They don't. I want them to care, i want them to save me. I hope that one day, some one will try, and that some one will think that i DESERVE saving. For some people, maybe the butterfly project will help, you should try it. 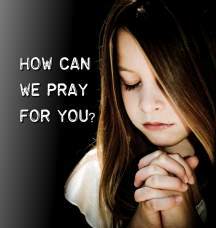 I'll pray for you, and i can only hope that you will pray for me too. ive been helped. so can u.
Hi, I've been a cutter for almost a year... It'll be a year in November.. I remember my first cuts because of my first and second boyfriend. My first ex cheated and my second just plain made me feel like I'm not good enough to be his. But I met an amazing boyfriend who I love to the moon and back. He knows I have cut, and he is the reason I stopped. Hes the only one who's been in my life through everything good and bad and even if he's not my bf he will still be my best friend and he will always be yhere for me. I just wanted to say: look at the people around you. The people you love. Each and every single one of them is a reason to stop. They will never leave you alone I promise you that. They will help you. They are the light and they are your saviors. i cut for 3 yrs, stopped now for almost 4, i think about it every other day. this is even more addicting than alcohol, but believe if U want to stop u can. its your choice. i believe in myself and i believe in u.
I look at my arms there is nothing to say…. Unfortunately, I know no other way. I must cut. I must burn. I must bleed today. The pain and the torture I well know. Of the haunting feelings inside of me. Could it be possible? Is there a hope? Might I find another way to cope! Wrapping round my heart from chain to chain. But it doesn't change, just get's longer everyday. The world closes around me, shutting and shutting. I feel horrible with myself, I'm never proud. But at the end of the day I still feel bad. My world is only full of blood and shame. I said it was nothing but that was back then. Soon the scar's will eventually fade. On my face there's only a frown. The thought of cutting never goes. So they just neglect me for it instead. And to be honest I like their tone. But then other times I don't want to be cured. Living with myself is just a mess. That is how are you today, no huge presentation. Every single night I fall asleep crying. This poem is very much how I feel. I love how everything was worded to an exact T of what is going on with me. Please, don't go back to that dark place you were in. Your mum is so wrong saying that its for attention. It's not, it's a way for you to escape, a way to go away from the pain. I know it is. BUT, You shouldn't be doing that. You should be happy with your life, smile and have fun. Be you sweetie, and be strong and you'll come back out on the plus side if you do. I hate how since I started self harming about a year and a half ago, I feel broken inside. And the only peace I get is through hurting myself. The worst part is that I can no longer be with people. It tears at something inside of me, I see how they're smiles fade when I come into the room, or how their happy moods instantly turn to ones of anger when I appear. The only other time I feel at peace now if I'm not cutting is when I absolutely alone and just sitting in my house, listening for something to disrupt the beautiful silence that will have settled over the everything. Please, I'm messed up and I've made so many mistakes, but I refuse to just give up, I know God has a plan for me but I feel so lost and alone right now...prayer would be greatly appreciated if maybe by any random chance you see this and it touches your heart. Please I need help.